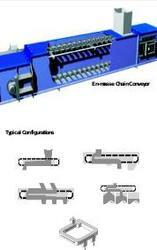 Chain conveyors utilize a powered continuous chain arrangement, carrying a series of single pendants. The chain arrangement is driven by a motor, and the material suspended on the pendants are conveyed. Chain conveyors are used for moving products down an assembly line and/or around a manufacturing or warehousing facility. To match up the varying demands of the clients, we are engaged in offering extensive array of Inverted Floor Chain conveyor to our valuable customer. 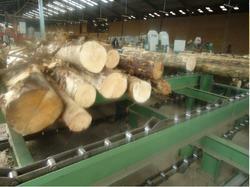 All our offered range of products has been made using the best technology. Our offered range of Inverted Floor Chain conveyor is excellent in quality and well tested on different quality parameters. 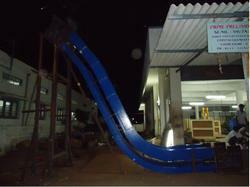 They have been priced at very reasonable rates in the market and are available as per the demands of our customers. We have always given extra fine finishing to our final product range. Our name is enlisted amongst the customers for offering wide array of Cane Carrier Chain. 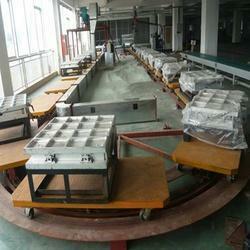 Our product is manufactured using quality material by our engineers. We offer Cane Carrier Chain for using in sugar industries . 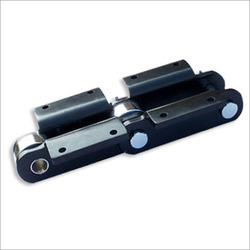 This Cane Carrier Chain is provided to the customers in accurate dimensions and after testing them. 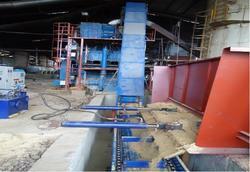 Looking for SCRAPPER Chain Conveyor ?